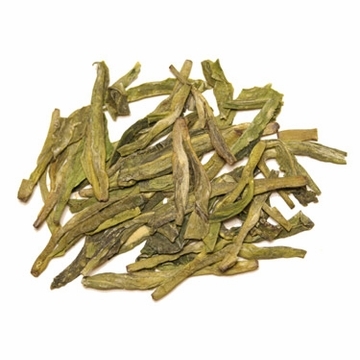 This extraordinary green tea comes from the city of Hangzhou in Zhejiang province. The flat leaves are harvested in early spring when the leaves are full of aroma and have a silvery shine. Dragon Well is prepared using traditional methods from the most tender tea leaves. These leaves produce a soothing and refreshing champagne colored liquid full of freshness. Semi-sweet in taste and orchid-like in smell, Lung Ching is one of the most famous green tea in China. Free shipping with purchase over $60.  Click here for tea brewing instructions.  Try our Value Green Tea Sampler. A Great Value! I recommend this for daily drinking. 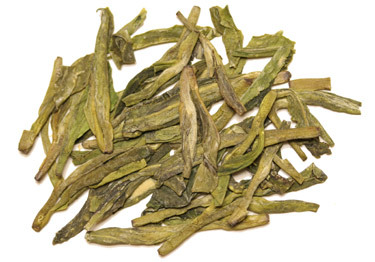 It is affordable and has a nice robust green tea flavor. Liked this best in the sampler. Decided to purchase some gunpowder at a lesser cost and decided the additional cost was worth it. My Order was delivered on time and the tea has been wonderful. Very very good green tea. When I use boiling water it tastes more green, less floral. When I use just below boiling water it has a floral aroma and lighter taste, I prefer less hot water for this tea. However you do it, its good (unless you just don't know what you're doing). Helps to fight Cancer - Tastes Great! province. This is a famous variety of tea in China. "In the CUNY test, samples of dragonwell tea contained from 86 to 175 milligrams per kilogram (mg/kg) of catechins. By contrast, jasmine tea (although delicious to drink) sometimes contained as little as 21 mg/kg. If you are drinking green tea not just for the flavor but for its health-promoting qualities, there is a danger that jasmine tea might miss the desired goal." I alternate this one with a white to keep the taste buds happy. This green never fails the taste test but steeps are limited to one brew for me. I am hesitant to buy green teas. They are so finicky on their temp and time to steep and they seem to always be bitter. I took the plunge and bought this one based on some of the other reviews. I am pleased! This tea hasn't been bitter so far. Although this Dragon Well lacks the bracing complexity and crisp finish of a high-grade longjing, it is well worth the price for an everyday "drinking" tea that would not be wasted accompanying food. The Dragon Well teas that I drink regularly are in the $8-15/oz range, a general grade in which the tea's special characteristics become most notable. I have a connection with a teamaker in Hangzhou who provides a friend with the highest quality of handcrafted Dragon Well, so I'm not a stranger to this tea. At $8.98 for 4oz, I'd happily recommend the Enjoying Tea Dragon Well as an introduction to the type for persons who are learning about Chinese teas and to accompany food. I brewed it at a ratio of 1/2 gram of dry tea per ounce capacity of my vessel (I brewed it in a 4oz gaiwan, a 5oz yokode, and a 15oz "tall glass"), all at 170-175 degrees. I gave the tea a quick "rinse" which I discarded for the gaiwan and yokode brewing while I merely swirled the dry tea into the water of the tall glass. The gaiwan and yokode infusions were about 15 seconds for the first drinking infusion, subsequent infusions were about 15 secs longer each time. The tall glass brewing was much longer, waiting until most of the tea fell to the bottom of the glass. In each case there was nothing overtly objectionable (no "fishiness" or unusual off tastes/aromas), but it is similar to other lower grade teas in that they leave you thinking "Yup, that's green tea alright" but without the desire to pursue the matter further. Smooth with subtle sweetness. One of my favorites. Trying a second round of teas from Enjoying Tea. Absolutely Delicious! This has been my favorite green tea for years. It has a wonderful flavor. This Dragonwell has a really light, buttered-sweet flavor. A Long Jing at the top of its game. This is the best green tea I've tried. 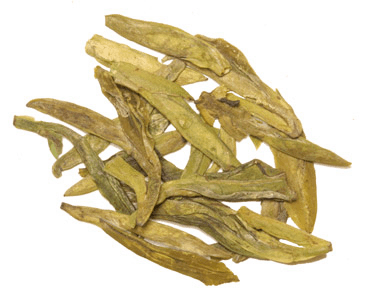 It has a smooth, almost buttery taste to it that is unlike any other green tea I've tried. You really should try it at least once. This tea has become the household favroite amongst the green tea drinkers. While we prefer to make our green tea very strong, this tea is nice at any strength. This variety has a nice, crisp flavor with a floral quality. Goes great with honey and lemon, or just plain. Nice tea. I am able to make three (sometimes four) pots of tea from the single serving of tea. I start the morning with a good strong pot of tea and as the day goes on it becomes lighter and it doesn't keep me up at night. THis green tea is unlike anything that you can purchase at your supermarket. great price and soothing . Also like the way it is shipped and stored. I am an American who has been to China a couple times. I feel I have been taught to know the finer things about China. This tea is some of the better teas I've had. I feel so healthy when I drink this! Taste is very light. If you like very mild tea with a delicate flavor this is for you. The tea arrived quicker than I thought it would and in good shape with few tea leaves broken. Decent cost for shipping. The tea has a mellow chestnut flavor to it and appears to be fairly high quality. I was able to get two steeps out of the tea, although the second steep lost the chestnut flavor. This was a good experience and good purchase. Just what I wanted at a Great price! Just as good as what I had, but at a much better price. Great taste even after brewing twice! Fell in love with this tea on our trip to China and have enjoyed it for many years. Never tire of this fresh taste and have it with breakfast every day. Enjoying Tea delivers a fresh quality product. Highly recommend. It's a decent tea taste wise, although I would prefer more fragrant. I also like the fact that it contains big pieces of tea leaves. This tea was great, it pours a light green/yellow color and taste much better then the usual green teas I have tried. One piece of advice though, if you are not the type to drink green tea then this might taste rather bitter to you because I asked others to rate it after pouring them a cup of tea, and the verdict was that it was a little bitter. This green tea is not supposed to be the top quaility harvesting but is good quality. I don't know the difference between the taste of unbroken pieces to top notch longer flat pieces. If prides keep going up my sipping will decrease. This is a good seller and product is as stated. This is my favorite green tea. It's slightly buttery caffeinated taste, with a dark champagne color( first brew) that makes it unique in his category. I'm a Dragon Well fan. The quality of this tea is excellent considering the bargain price. This has become my daily 'go to' tea. I recommend it heartily. Good quality ...the tea is fresh and with nice fragrance . I have been buying this delicious tea from Enjoying Teas for many years. The teas and the company service are excellant! Dragon Well is my favorite breakfast tea or anytime of the day tea - - mild and mellow yet refreshing. Brewed for 2 minutes in 180 deg. water - the first brew is a little stronger, as with most teas, the second and third brews are excellent! 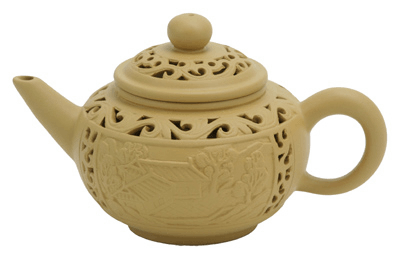 Ever since I tasted dragon well green tea in China, I've kept up the habit of a daily pot of tea. The quality is equal to what I bought in China. The price was competitive, and I received my new package within a couple of days. Start from that tea Just try it. Very smooth good tasting green tea. The very best value that I have found for this type of tea. This is the tea I drink every day. It is great hot or as iced tea. A very smooth green tea with a unique floral flavor unlike any other. A little goes a long way, so brew/steep to taste. A nice change of pace green tea that will soothe your inner soul. Enjoy!